do you feel its secret? © Rebecca Hatcher Travis. All rights reserved. 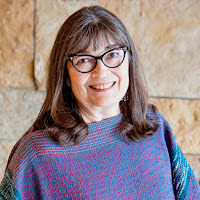 Rebecca Hatcher Travis is a citizen of the Chickasaw Nation who carries deep roots in both Indian Territory Oklahoma and Texas. Her first poetry book, Picked Apart the Bones, won the First Book Award from the Native Writers’ Circle of the Americas and was published by the Chickasaw Press. Her second poetry book, Constant Fires, was released by White Dog Press, a division of Chickasaw Press, in October, 2017. Other published work appears in literary journals, anthologies, online and recently in Tending the Fire, Native Voices and Portraits. Ms. Travis is a member of Wordcraft Circle of Native Writers and Storytellers. She lives in the foothills of the Arbuckle Mountains of Oklahoma, near the land her ancestors settled in early Indian Territory days. She continues to write and give poetry presentations.